It's not easy to get statistic date from Facer at the moment (Feb 2018) - especially if you are not premium designer. So, I watch each of my watch face every day at the same time and write down the syncs manually (I read in the discussion, that some of another creator e.g. @pacingpoet do the same) for some months. This give me an opportunity to see not only the total sync number, but to observe the daily development and popularity of each watch face as well. I am not sure, if that this kind of information would be interesting also for another creators, but @GRR requested more statistic , so here it is. 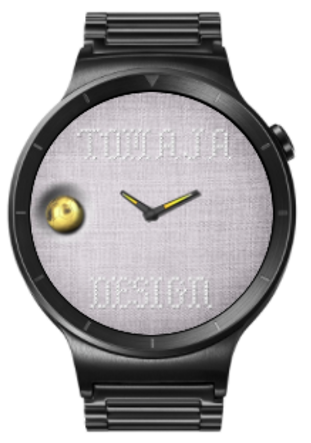 The total watch face amount I choose from is 123 original designs I produced since November 23, 2017. 08 ... ... 23 Syncs ... Simple R.E.D. 07 ... ... 22 Syncs ... B.E.A.T. All of the models reached max. 25 Syncs in the first 30 days. But, at one of those "loser designs" something happen afterwords. Please see the Table below. So let's have a closer look at this watch faces. 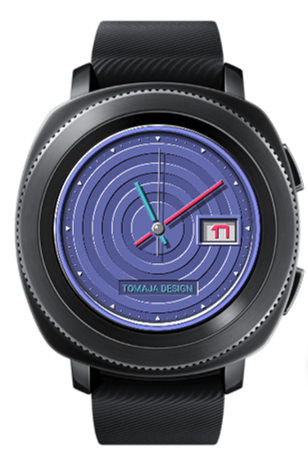 This watch face was primary created for a tutorial about a bouncing (shaking) second hand. This is also the reason why the second hand is so ugly thick . @Facer_Official picked up this tutorial latter on and published (featured) it in the section Facer Academy. 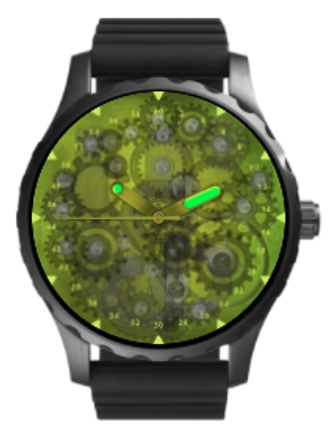 As you see, in this particular case the watch face itself and the tutorials about the special effect would bring all together only a really few syncs (Phase 1). Huge effect at this particular loser design (in comparison to the low syncs) was the featuring though Facer (Phase 2). Both tutorials have only a minor influence on syncs. I do not have any explanation why the Phase 3 started app. 10 days ago. 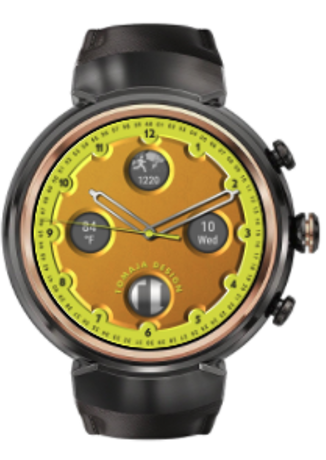 I think that this could be caused by possibly higher ranking in the internal searching machine or trough stronger pushing of the watch face (and/ or tutorial) from Facer algorithm. 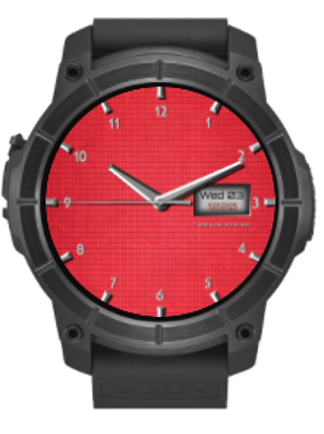 This is the typical trend of watch faces with low syncs. 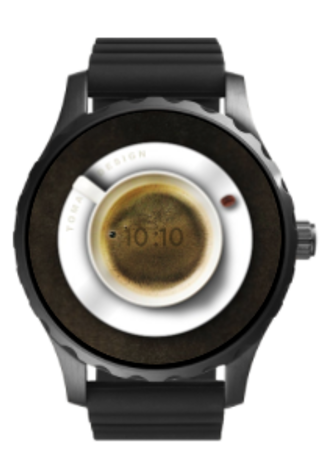 In this case it is the model Chocolate Coffee Break. If you like this kind of article, please let me know. 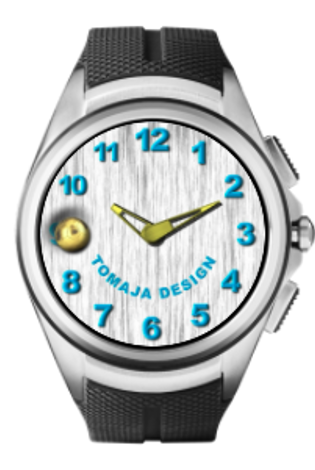 Next time we could have a look at most successful designs and their progress from TOMAJA Design Collection . Good article! Definitely see huge peaks when they get featured. 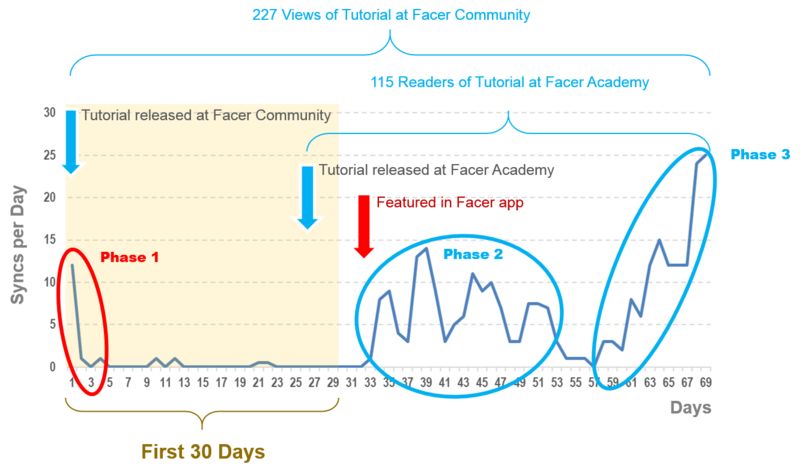 One of mine is now in the 'Welcome to Facer' section and has received about 9,000 downloads in 50 days post-upload. Before getting featured, it was definitely a slow burn! Hi @roycaruso ! 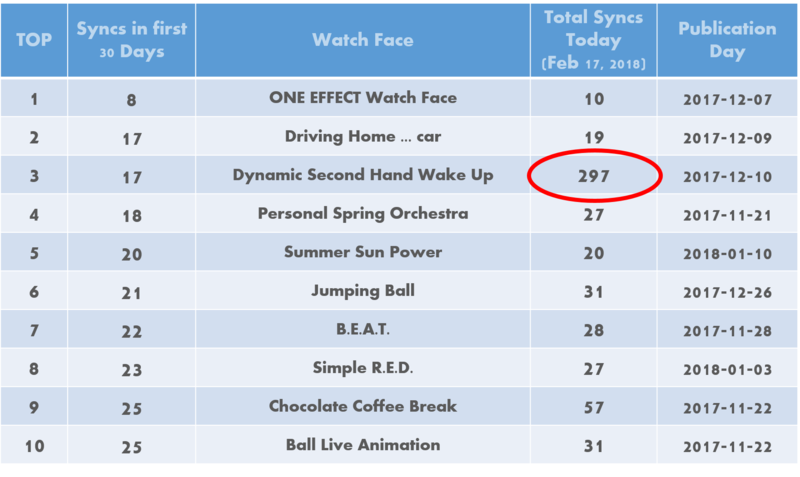 thanks for comment, I discussed the "featured effect" at another place yesterday and well sometimes it is a huge speed-up and acceleration for the particular watch face. 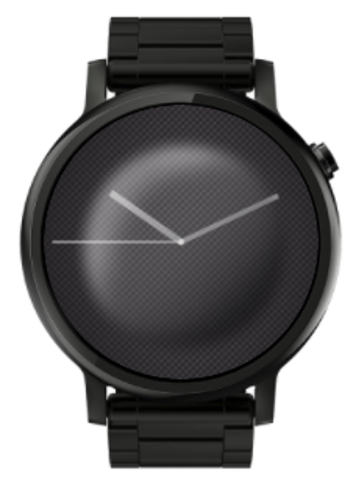 However, there are many cases (at least at my watch collection ) where the effect of "have been features" was minimal. Maybe I will published also such statistic data later. 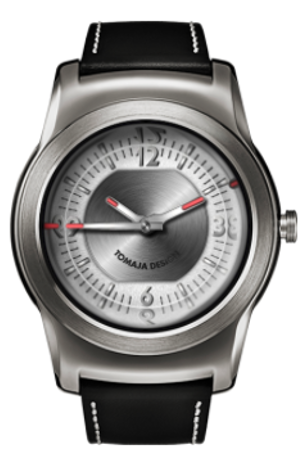 Do you have some date how your successful watch design grows before and after? Yep, I do track my own stats with weekly granularity. Daily is too obsessive for me. In my experience, the biggest boosts come from being featured in-app. Most users just don't spend time searching for watch faces. My #3 watch face is not even one of my favs, but over 100 people synced it every hour that it was featured as New & Hot on Facer Android. On the flip side, my #1 watch face may never be featured (at least one member of Facer's creative team is not a fan) but I often wear it myself, and ~75 new users sync it per week. Week ending 12/31/2017 brought an influx of new users who received smartwatch presents. Week ending 1/14/2018 was even better than Christmas for me, but I still have no idea why. Broken stroke/glow effects have suppressed syncs for a subset of my designs, including Fireflies. 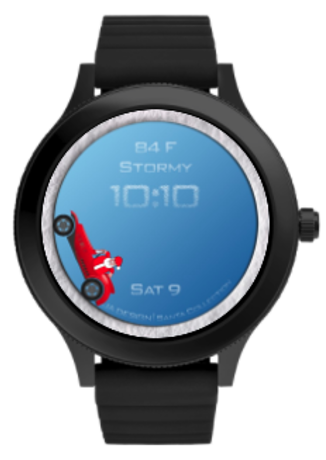 As a matter of policy, I always attempt to improve watch faces with less than 50 syncs (at the moment, that includes just Ice & Fire and Be Cool). Ice & Fire is clearly light on data and dependent on the glow effect, which remains globally broken. Be Cool needs animation tweaks, to be determined through further testing. So that's where I am now, mulling long duration animation in the context of Facer 4.5. In my short experience (few months) the biggest global influence was the Dec 25, 2017 - almost everything double.